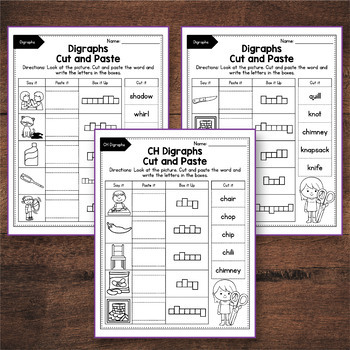 Are you looking for some worksheets to help your students master digraphs? 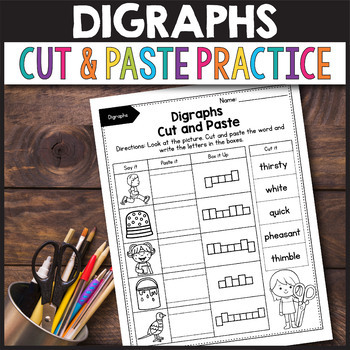 This set includes 32 cut and paste activities that will help little learners practice the following digraphs: Ch, Sh, Th, Wh, Ph, Kn, Wr, Qu. 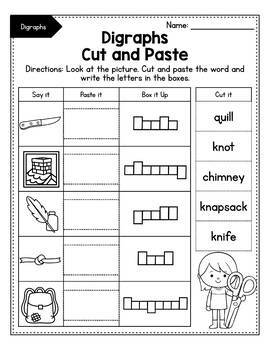 Your students will have to look at a picture and cut and glue the matching word. 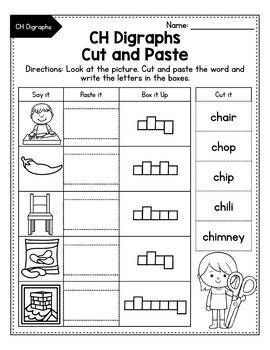 Next, the kids will have to write the letters in the boxes. This set includes reference cards so you can easily find out what a picture is.